One of the most common affiliate products people recommend are books. No matter what niche you are in there is always a relevant book or two you can refer to your followers. While there has always been Amazon and a few other major suppliers, you can now become a Google eBookstore affiliate (I’ve mentioned the Google books affiliate program before). This has two great advantages for those looking to earn some extra money online. Purchasing a book from the Google eBookstore has many advantages over other ebook suppliers. In addition to the instant access that comes with purchasing an ebook, Google tracks your purchases in the cloud. This allows you to access and read your ebook from any of your devices – smart phone, tablet, pc, and so on. In addition to accessing your books from one central location, Google will also keep track of what page you are on. For example, if you read the first chapter of a book on your PC at home, when you access your book from your smart phone on the train the following day you can easily pick up from where you left off. By highlighting these advantages to your audience you can encourage more sales through your affiliate link. One of the most profitable activities a website owner can do is create and publish their own information product. This allows you to earn much more per sale than with an affiliate sale. 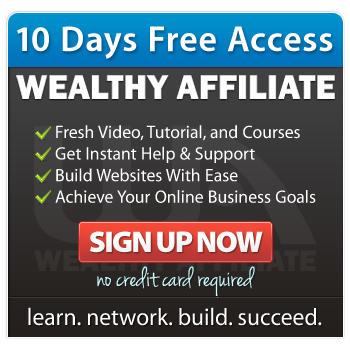 To take your business to the next level you need an affiliate program where hundreds of affiliates promote your product. The Google eBookstore makes this possibility much more accessible. You can publish your own ebooks with Google through the Google Books Partner Program. This makes your ebook available to a much larger audience and allows other people to promote your book for you earning you sales that you otherwise wouldn’t receive. To start promoting Google eBooks through their affiliate program you must first join the Google Affiliate Network. The affiliate program is currently only available in the US but will hopefully be expanding to other countries soon. This entry was posted in Affiliate marketing and tagged ebook, Google. Bookmark the permalink.